Field trips are defined as school-sponsored activities which may be scheduled and planned to provide students with experiences that are an extension of the educational program. 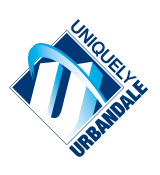 Field trips may be used to supplement the curricular and co-curricular programs of the Urbandale Community School District. Field trips shall be accomplished in the time frame of the regular school day, unless there are educational reasons of such an overriding nature as to receive special consideration. All field trips within the State of Iowa shall be approved in advance by the building principal. Parents of the participating students will be notified prior to the field trip. All field trips outside the State of Iowa and all field trips including an overnight stay must be approved in advance by the Board of Directors. Parents of participating students must give written permission in advance for their children to participate in such field trips. Parent permission may be obtained through an annual approval or by individual field trip approval. Parents will be notified at least one week in advance of individual field trips, and the parent has the option to withdraw permission for any individual field trip by notifying the teacher in writing. Students participating in field trips are expected to complete class assignments missed. Teachers are expected to make alternative arrangements for students to complete work missed.